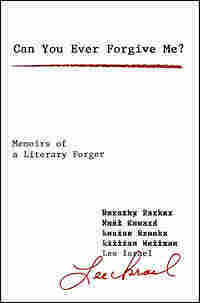 Best Collections Of Literary Letters 2008 Dear reader, sitting down with a collection of letters — or a vivid reflection on them — affords a singularly intimate encounter with a writer, so please give a look to these exercises in mail bonding. Let's say that the history of correspondence as literature began with Cicero, proceeded to the mash notes of Abelard and Heloise, and took on new dimensions with such epistolary novels as Pamela, Les Liaisons Dangereuses and Dracula. High points of recent decades include the The Groucho Letters (where Mr. Marx waggles a virtual cigar at the likes of T.S. Eliot and Harry S. Truman) and last year's Letters of Noel Coward, which went to print bearing two letters faked by a charismatic felon whose memoir appears on this list. 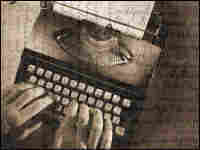 Dear reader, sitting down with a collection of letters — or a vivid reflection on them — affords a singularly intimate encounter with a writer, so please give a look to these exercises in mail bonding. What began in 1947 with a fond but formal kiss-up note from one rising poet to another ("Dear Mr. Lowell... I think it is wonderful you have received the awards") blossoms, over 30 years of professional triumphs and personal crack-ups, into the record of a grand platonic romance ("Dearest Cal: Please never stop writing me letters — they always manage to make me feel like my higher self"). You don't need any familiarity with the writers' work to relish their play of thought (though I don't know why you're reading this review when you could be committing Bishop's slyly dark verses or Lowell's imagistic confessions to memory). Reaping its pleasures requires only a thirst for lucid prose, a taste for vintage gossip and an appreciation for the transcendent power of friendship. The title comes from a note a contrite Dorothy Parker banged out in the early 1960s, except that it doesn't. The title comes from a Dorothy Parker note counterfeited by the rather unrepentant Lee Israel in the early 1990s. Once a best-selling biographer, Israel had slid headlong into hard times — food stamps, liquid lunches — when a chance discovery in a research library sparked a criminal epiphany. Over roughly 15 months, she painstakingly forged 400 letters "by" famous authors and showbiz notables, paying her Manhattan rent by selling them to autograph dealers. A writer with the talent to fake the voices of Noel Coward and Lillian Hellman is a real writer, and Israel's slender self-portrait as a literary low-life — a woman with vintage typewriters stacked in a mildewed storage locker, with a jug of scotch at her mouth after the FBI finally comes calling — is an absorbing hybrid of barstool yarn and brisk thriller. Employing a highly risky device to deeply rewarding effect, Miles structures his first novel as a harangue handwritten during a torturous airport delay. 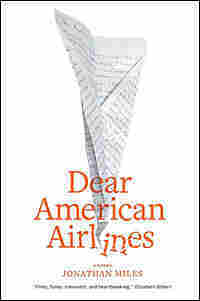 As protagonist Benjamin Ford writes to request a refund in the amount of $392.68, the titular salutation develops into a ritual incantation — "Dear American Airlines, enclosed please find my sciatic nerve" — and the howl of complaint builds into a vibrantly bellowing, Saul-Bellowing confession. Bennie, profane and pithy, itches to make it to Los Angeles to reunite with his daughter, whom he hasn't seen since she was an infant, and walk her down the aisle at her "commitment ceremony." This is an account of how life deposited him in the purgatory of O'Hare. The narrative pushes full-thrust through droll remembrance and weathered self-remonstrance, the author hitting the jets with a confidence that lets us take his wild comedy very sincerely. 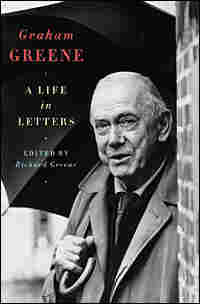 If you love Graham Greene — and what is not to adore in the novelist's lean, dry tales of spies and sinners? 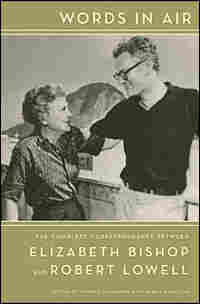 — then you will appreciate this remarkable volume as an unwitting memoir. Writing from Hanoi, Greene recounts a trip with a bombing squadron that ends up in The Quiet American. From Haiti, he details a Voodoo ceremony — material for The Comedians. From his heart, among other organs, he sends plans and pleas to his wife and mistresses — and also tries to answer a fan who, torn between her husband and her lover, thought the author of The End of the Affair might give her some sound advice. "Perhaps you are too bored with security," he replies, "but I can tell you from my own experience that insecurity can be very boring too." 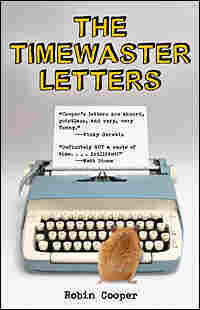 Cooper — the nom de farce of British comedy writer Robert Popper — operates in the tradition of such epistolary jesters as Henry Root and Ted L. Nancy, launching daft missives at innocent civilians, reprinting the exchanges for connoisseurs of silliness. The voice, honed over five years of pranking, is doggedly earnest and puppyishly eager, straight-faced and fool-headed. Consulting the Archbishop of Canterbury on a doctrinal matter, Cooper wonders, "As a religious man could you perhaps give me a few tips as to the best way to set up an entirely new world religion?" The responses range in tone from polite bafflement to hot outrage to gracious sympathy, and the best timewasters make a leap from practical joke to philosophical inquiry. On Dec. 15, 1999, Cooper mailed a succinct doozy to a therapist from London's Society for Existential Analysis: "Dear Mr. Spinelli, Why did I choose to write this letter? Yours sincerely...."